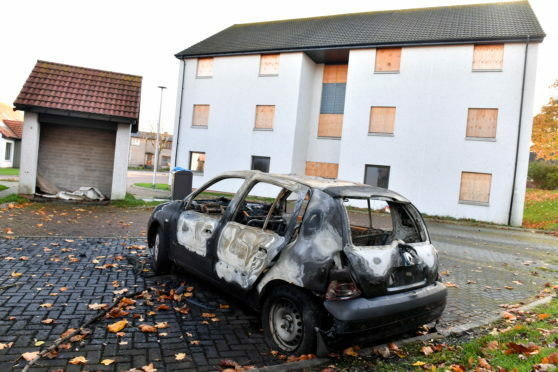 Three women who lived in Aberdeen’s notorious “shaking flats” have given council chiefs seven days to solve their claim for compensation – or face legal action. The trio, Natalie Davidson, Sharon Munro and Alison Gray, are looking for a settlement for household losses they say they incurred. The flats at Marchburn Park, on the site of the old Marchburn School, in the Northfield area of Aberdeen, were completed in April 2012. But residents quickly hit out saying that living in the building was akin to being constantly on a “rocking ship” with washing machines, passing cars and even the hum of lampposts causing the whole building to shake. Last year, the council was forced to relocate all the residents in one of the blocks after continued complaints about the building constantly vibrating. The women are now considering legal action claiming that they had been told they would be recompensated for furniture and fittings they bought for their old homes. However, it is understood they received all the rent they paid back into their bank accounts and another sum from the authority to cover the move. At yesterday’s operations committee, a visibly emotional Ms Gray told councillors that if the issue was not sorted they were ready for court action. She said their solicitor had informed them that, if they did not act, they would be caught up by the statute of limitations. A report on Marchburn Park was then heard in private with press and public excluded. A council spokeswoman said: “Residents today made a deputation to Aberdeen City Council’s operational delivery committee.